I'm only 5'2" but like other vertically challenged, I've always wondered what it would be like to be tall and willowy. With the help of late day shadows, I can fantasize. Nice shot Allison, and you do look very tall. I especially wonder that myself, especiually when I can't reach something on a top shelf. I am only 5'6" and shrinking. You have great ideas, good luck buying new clothes. Maybe I need to try that. I'm only 5'1". nice job! Love the way this came out! I love this! 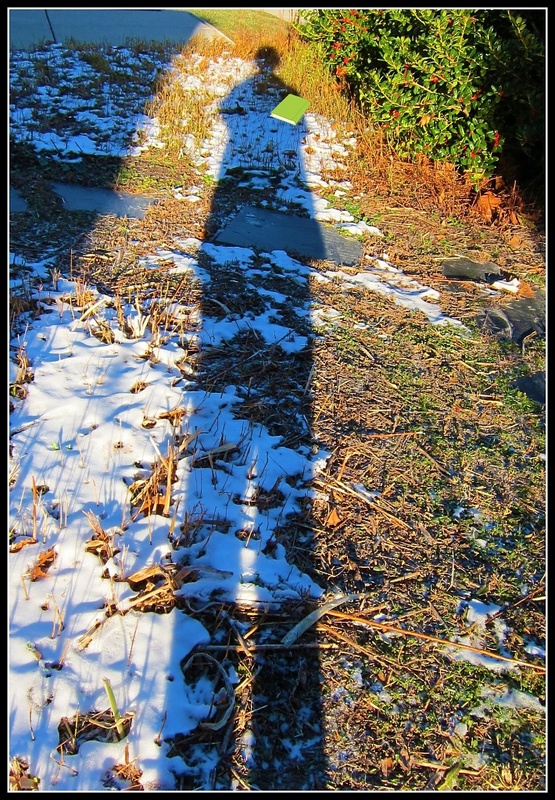 The only time I'm tall is in a shadow as well. (I'm 4'11) Fun shot! That is so awesome, I love the colors too, a really neat shot!